Meghalaya’s renowned social activist, Agnes Kharshiing, who was brutally attacked allegedly by coal mafias on Thursday, continues to be on life support system. 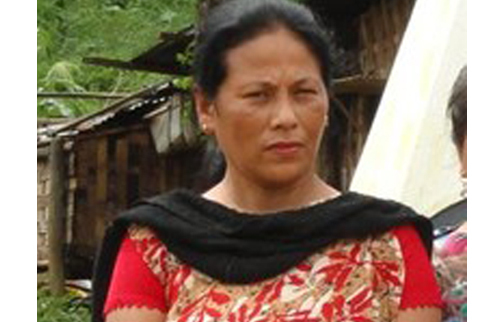 Agnes’s aide, Amita Sangma, has shown improvement. This was informed by hospital authorities at the North East Indira Gandhi Regional Institute of Health and Medical Sciences (NEIGRIHMS) on Sunday. “She (Agnes) is still on ventilator, and in a critical condition. Her condition is dynamic and can change with time,” NEIGRIHMS spokesperson KK Pandita said. He said that Sangma is fully conscious, and oriented, and able to converse normally. Agnes’s brother, John F Kharshiing, informed that Chief minister, Conrad K. Sangma, who is currently on European tour, has called him to inform that he was constantly monitoring and has asked his team to update him regularly as to the situation and to provide all assistance from the Government. Sources in the family said that the office of the Union Health and Family Welfare Minister, JP Nadda are in touch with NEIGRIHMS authorities and have advised all assistance to Agnes and her aide, Amita Sangma. Agnes, who is the president of the Civil Society Women’s Organisation that works for the welfare of the poor and helps suppressed people fight for their rights, along with Amita Sangma were brutally assaulted by a group of between 30 to 40 people on November 8 last at Tuber Sohshrieh area. The attack happened after the activist lodged a complaint on the illegal mining and transportation of coal with police in East Jaintia Hills district on that day. The attack is suspected to be a nexus between coal mafias and police besides other higher authorities. Police have arrested only two people from Kongong area on Friday. The Geneva-based Asian Forum for Human Rights and Development (FORUM-ASIA) condemned the attack and demanded immediate, full and impartial investigation into the incident and prosecution of the attackers. Swaraj India Party (SIP) also demanded an independent enquiry to probe the case and the alleged nexus between the coal smugglers and the police.